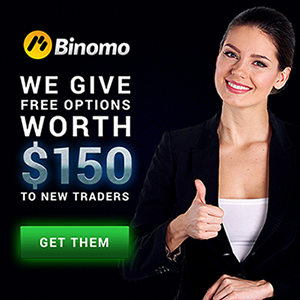 The number of existing trading strategies is enormous. Some of them work perfectly, while the other demonstrate lackluster performance. Today we are taking a closer look at 5 popular strategies that you should know and think about giving them a try. Chances are, you will find a strategy that fits your personal trading style. The momentum strategy is easy to understand (but not always easy to implement) — wait until your preferred asset demonstrates rapid movement and open the deal. 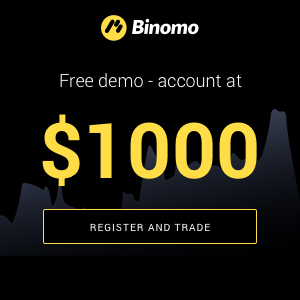 The move can be in either direction, as both long and short positions can turn profit when working with IQ Option, Binomo. Both technical and fundamental factors can trigger massive movements and should, therefore, be watched closely by the trader. In case of publicly traded companies, earnings reports and major news are the type of events you are looking for, as both have the potential to change stock prices by a lot. For currencies and cryptocurrencies technical factors are just as important. Strong upward and downward trends can start with no fundamental explanation. In order to protect yourself from sizeable losses you may want to use stop-loss orders. Should the price move in the opposite direction, the deal will close automatically, cutting your losses. Several small wins can be just as good as one major victory. Set buy and sell thresholds before you open the deal and watch the price of the asset move in the desired direction. When using the scalping strategy, deals can be as short as a few seconds. Be prepared to act fast and make financially-important decisions in an instant. It is worth saying that due to extremely short timeframes, there is no place for fundamental analysis in scalping. Here is what you want to do as a pullback trader: find an asset (a company stock or an ETF) with an established positive trend and wait for it to move in the opposite direction. Notice that it should be a short-lived retracement, not an emerging negative trend. Open the long position when the retracement is about to die out and the price action can be expected to go up once again. The same can be done on a negative trend. Wait for a downward trend demonstrate limited upward movement (again, not a full-fledged) and open a short position when the price is at its local maximum. Do you remember support and resistance levels? This strategy aims to put them into use. Usually when the asset price reaches a certain threshold that it is unable to surpass (called the resistance), it will retrace back and trade at lower levels. However, when the asset price goes above the resistance level, it can be expected to continue its upward rally. Notice that sometimes the price action can move above and below the resistance level freely and this strategy won’t work. Probably the most promising strategy for those interested in fundamental analysis. We all know that major news and events are critically important in the world of trading. Almost any asset, be it a national currency, a cryptocurrency, a stock or a commodity, can be moved by a major economic/political event. Good news tends to move the asset price higher, bad news — lower. If everything is that simple, what’s so complicated about news trading? Predicting the news before it hits the market and making a correct forecast is hard. Sometimes markets behave illogically, and overall positive news triggers a price decrease. So, you have to be prepared for that. Whatever the strategy you choose, there are several things to remember. No strategy is failproof, all of them will demonstrate negative results from time to time. Try several strategies, find the one that suits you bet and master it. Several losing deals in a row do not mean that the strategy doesn’t work. It probably means that you’ve simply experienced a losing streak. By constantly switching between the strategies you decrease your chances of success. At the same time, don’t be afraid to quit a certain strategy should it really stop working for you.